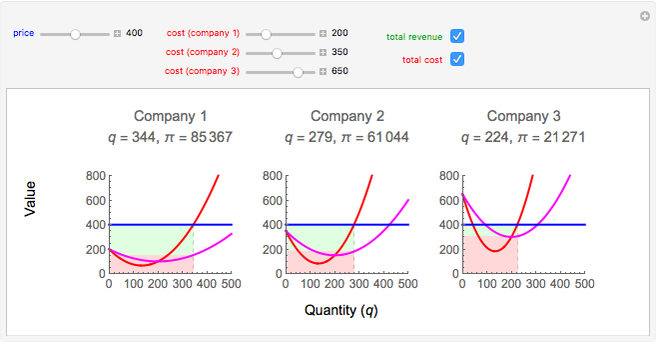 When three companies produce the same type of products and are price takers in the same market, they may still earn different profits if their cost pattern and production level differ. 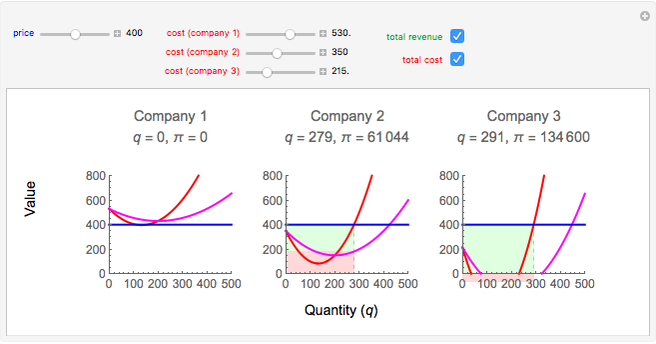 This Demonstration assumes profit-maximizing behavior for the three companies and calculates optimal quantities and corresponding profits for each company. The difference between the least cost-efficient and the others is referred to as intramarginal rent, an economic rent, exceeding the normal profit defined by the less cost-efficient. The three companies are price takers; hence, they are all facing the same global price, shown as a blue line. Their costs may, however, differ; the initial marginal costs of each company are controlled by the three sliders with red labels. 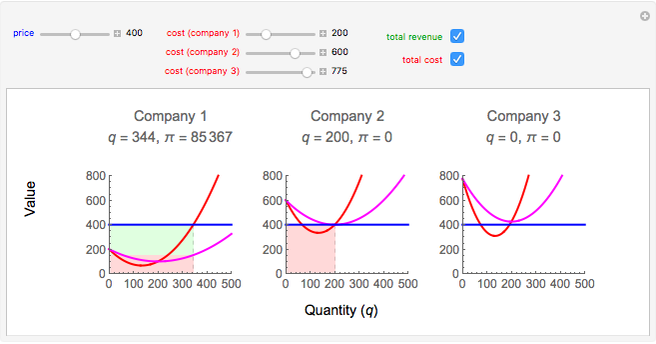 The marginal cost of each firm is drawn as a red curve, while the corresponding average price is the magenta curve. Location Theory - Is the Bid Rent Curve Linear?